The W8 Walkman phone, developed by Sony Ericsson and Reliance 3G, recently hit markets of India. A ‘100% money back’ offer accompanies this device which will be available to mobile customers on the Reliance 3G network. This is supposedly the world’s first Walkman smartphone combining the Walkman and Android technology. It is pre-loaded with more than fifty songs and twelve videos. The handset is embedded with a 3-inch HVGA capacitive LCD screen, a QWERTY keyboard and a 3.2MP front-facing camera. 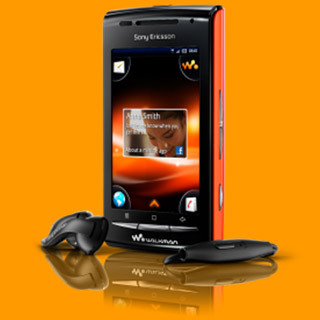 The Sony Ericsson W8 handset features FM Moment and Share Moment applications along with an FM string and a bundled-in speaker. Buyers of this four corner user interface device receive a free Reliance 3G SIM with discounts on pre-paid offers over a period of 12 months and 100% money back on post-paid offers for 24 months. The Sony Ericsson W8 Walkman phone has a price tag of Rs. 9,995 attached to it and is available at all leading mobile retailers across India.